Bio2Watt was established in 2007 by Sean Thomas with the aim of developing, owning and operating waste-to-energy projects in Africa. We aim to produce in excess of 50MW of green energy in the country over the next ten years. With one ground breaking project already operational, another to start construction in April 2016, we are now the market leader of industrial scale commercially-driven biogas waste-to-energy projects in South Africa. Plans are underway to expand into Africa with projects currently under assessment. 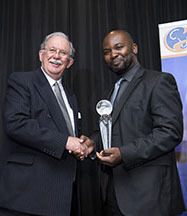 We are proud to have been awarded the prestigious South African National Energy Association (SANEA) Energy Project 2015.